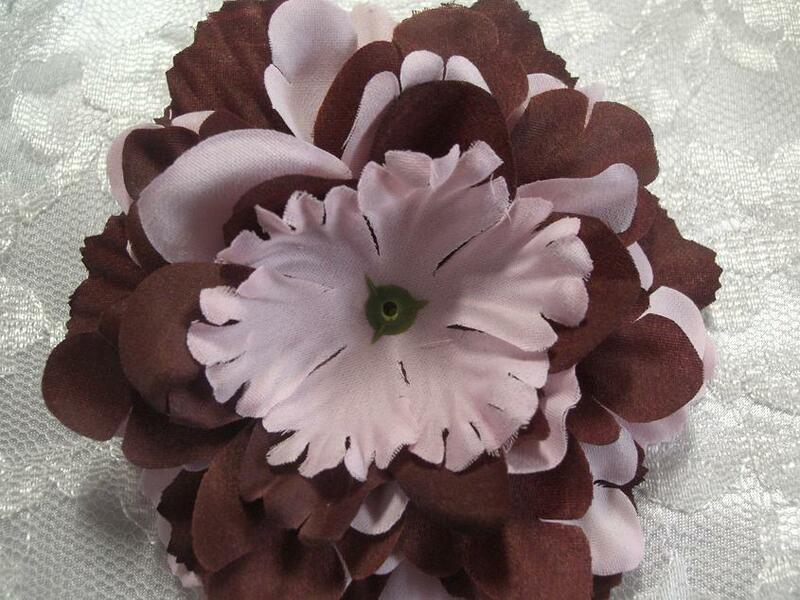 Home » How to make » How to 2 toned peony flower on elastic headband » How to make a mixed petal peony flower on elastic headband. 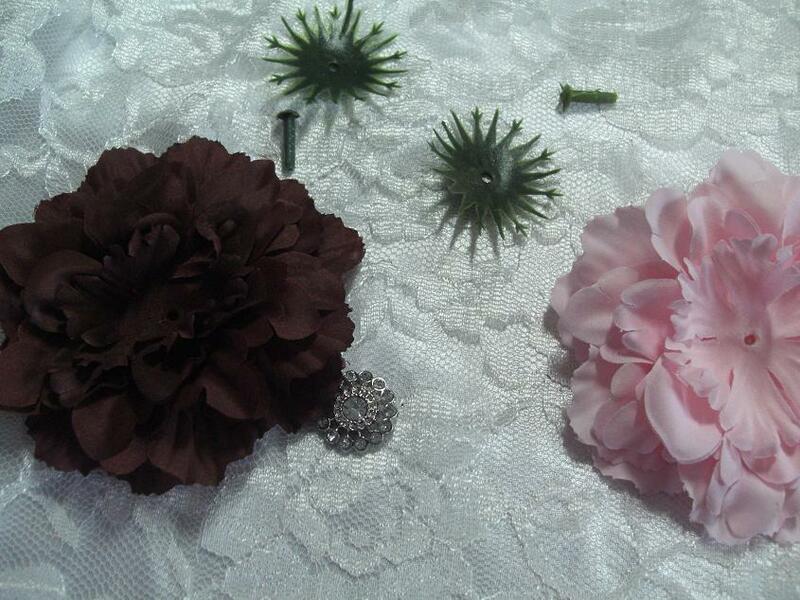 2 peony flower heads of your choice we used lt pink and brown. 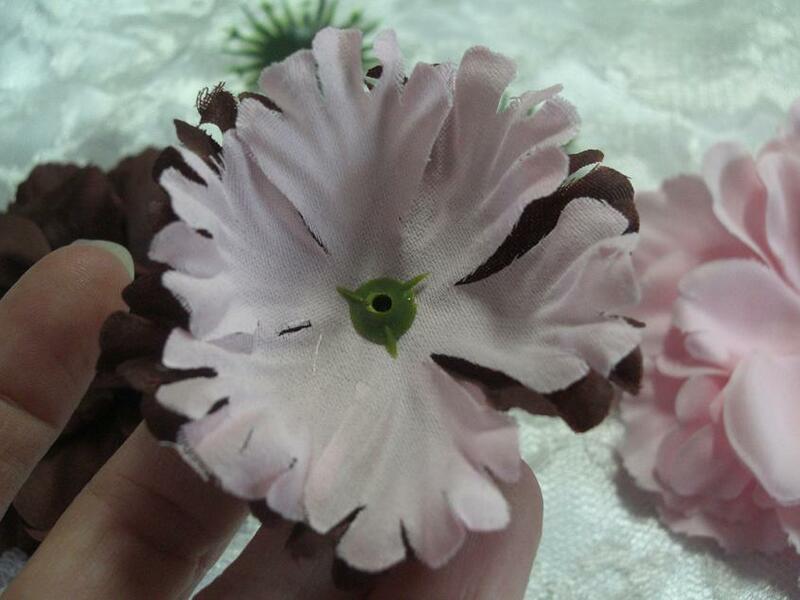 Take one of your flowers and pull the flat greenery of the back of the flower. Pull your petal of the green stem. Make 2 piles of mixed petals taking 1 layer from each flower. Starting with your smallest petal feed them back onto the stem turn each layer so the petal hide the gaps in the petal above. 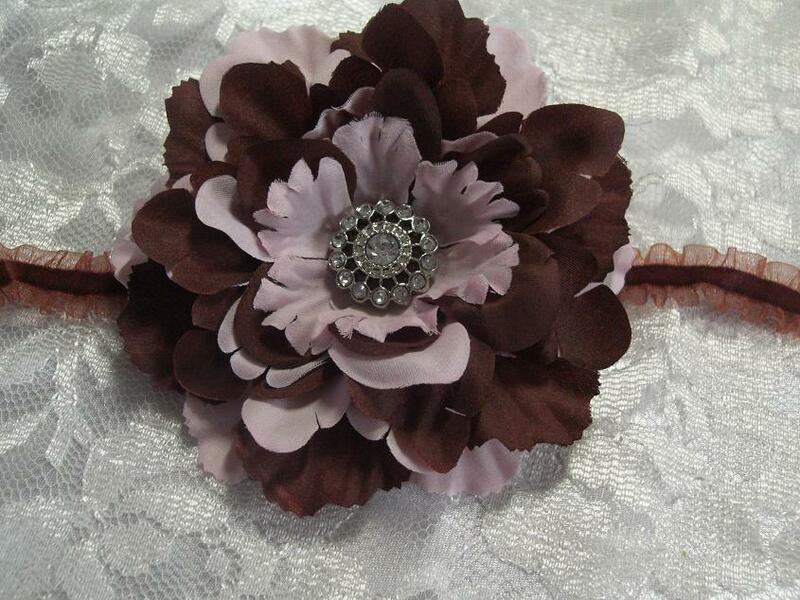 You now have a 2 tone flower very quick and easy. 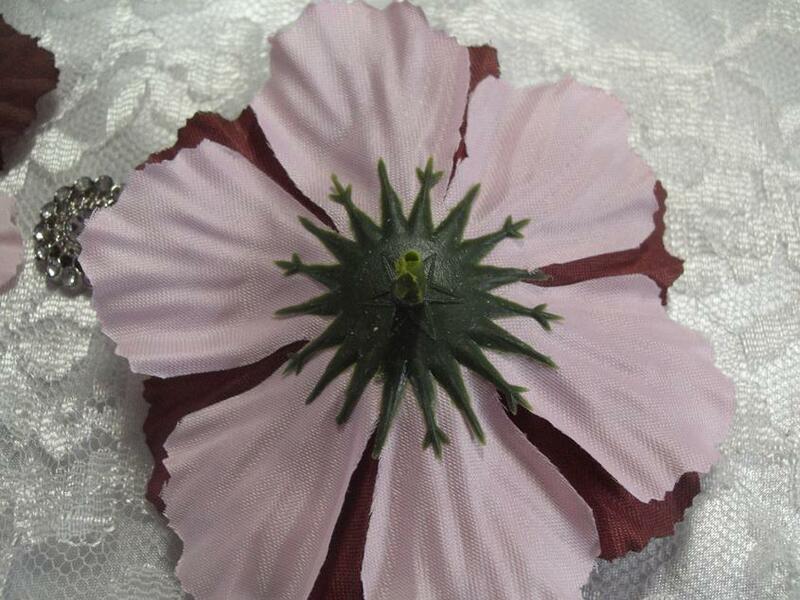 Feed the flat greenery back onto the back of the flower. 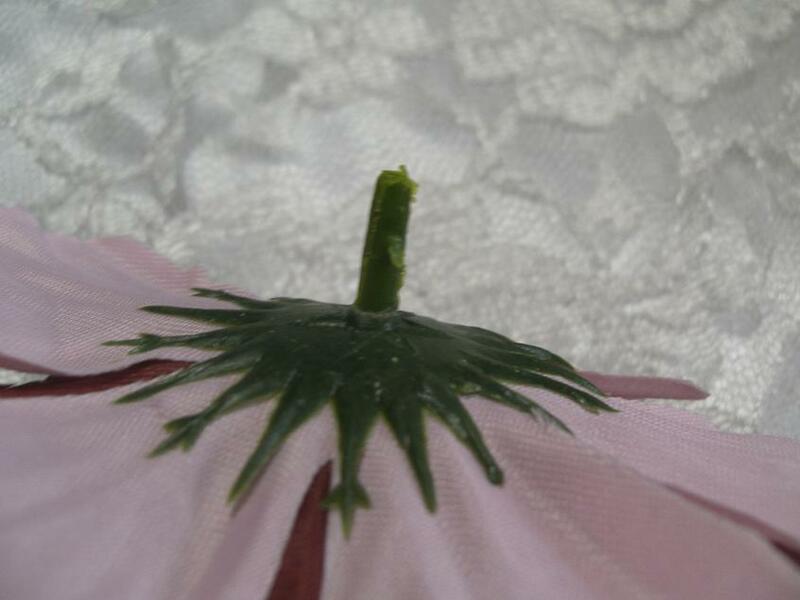 It is a good idea to put some hot glue on the back of the flower before sliding on the flat greenery. Now with a some scissors or snips cut of the stem as close to the base as you can and hot glue and alligator hair clip to the base. You will need to make an elastic headband see our tutorial if you need measurements How to make a fold over elastic headband instructions are the same. 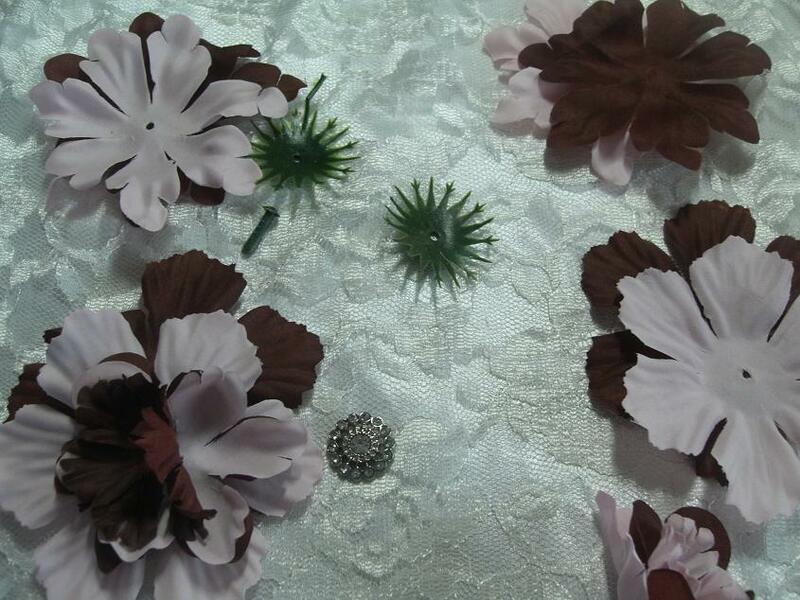 Hot glue a Rhinestone button embellishment to the centre of your flower. Thank you for reading our tutorial I hope you find it helpfull if you would like to share our post please use the share buttons our post a link do not copy and paste our tutorial. ← New printed FOE fold over elastic have arrived.